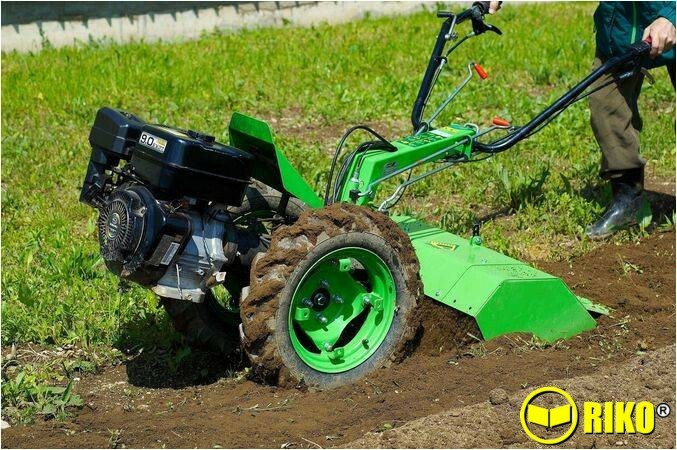 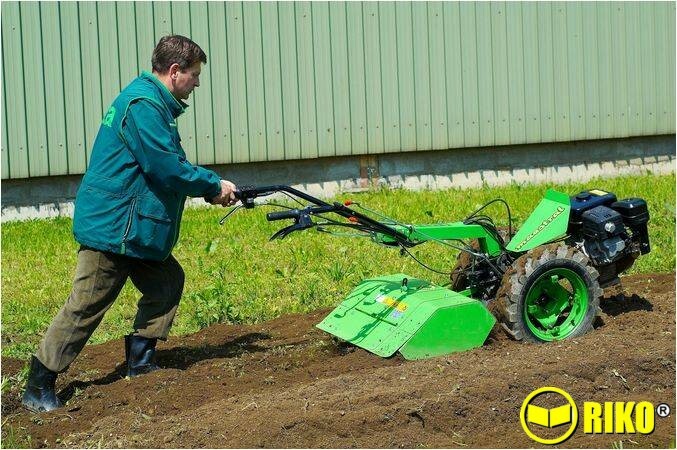 ﻿This is the most common of cultivation attachments, PTO driven it consists of a series of curved blades (tines) that are bolted to a rotating shaft that is horizontal to the ground and is connected to the rear of the 2-wheel tractor, it is therefore a pulled attachment. The top of the rotovator is enclosed in a curved body to prevent physical contact with the rotating blades and to contain the soil being cultivated, bolted to the rear of the body is a flap that allows the soil to exit the rotovator, this flap is hinged and drops down when the rotovator is lifted out of the ground, thus preventing the operators feet from contacting with the rotating blades. 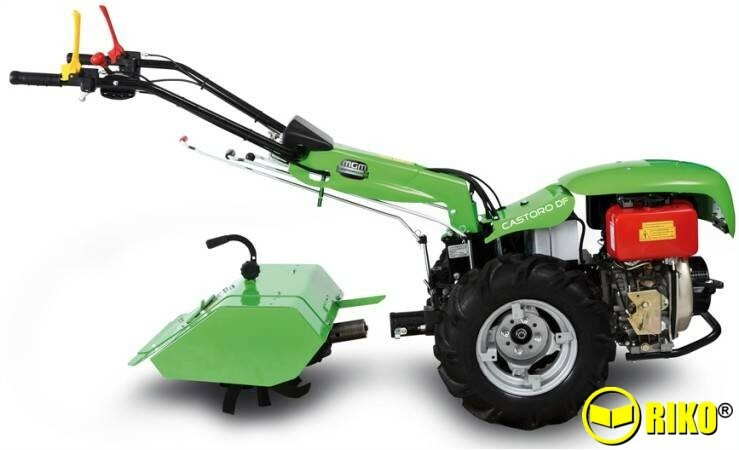 An adjustable skid that is situated in the middle and underneath the rotating shaft controls the working depth of the rotovator. 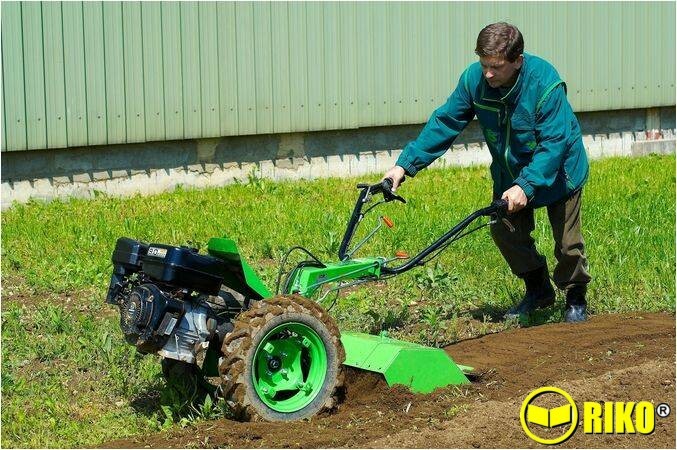 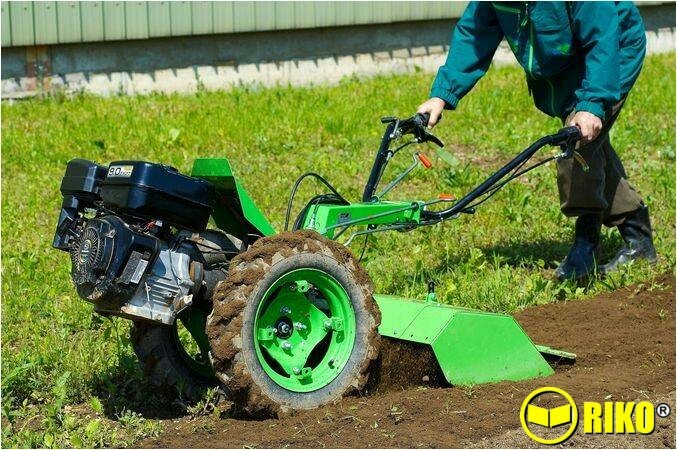 The rotovator works across a wide range of soil conditions, however the harder the soil, or when cultivating through turf, it will be necessary to make a number of passes over the same area to achieve the desired fineness of tilth and/or depth of cultivation. 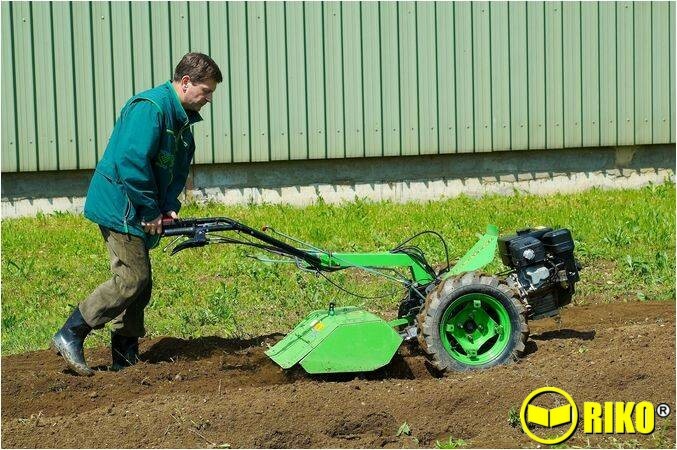 The rotovator attachment comes in a variety of widths from 46cm up to 90cm, the choice of width is governed by the size and power of the power unit, other than the 46cm size the rotovator attachments are adjustable in width to accommodate differing soil conditions.